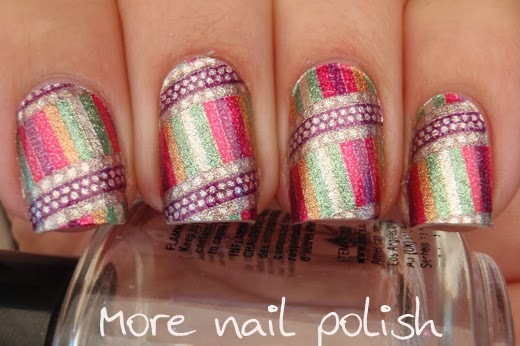 I have another design of Incoco nail appliques to show you tonight, and I think these are definite my favourite. These were my first choice from the huge Incoco range. 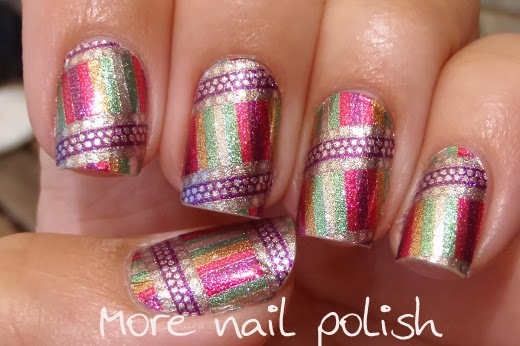 This design is called Crown Jewels and the base is a silver foil, then it has lines in purple, pink green and orange, as well as dotted purple bands going the other direction. 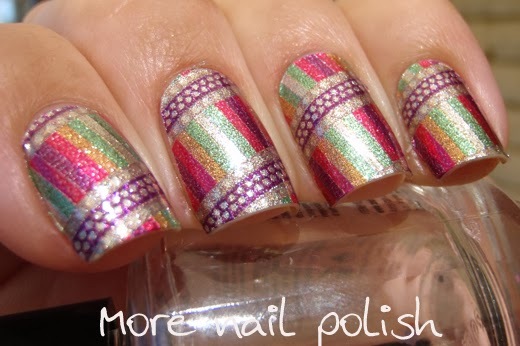 What I really love about this design is that it is not something I can create freehand or with stamping. It is so intricate and so absolutely perfectly printed that it just looks stunning. Application was easy, just like the last time I applied an Incoco applique, and also like last time, the wear was really excellent. Most of these photos are shown in the shade or partial sun. As I was stickng my nails on, Miss nearly three came and asked me to do her nails. So far I've not managed to find anything that will stay on Miss twos nails for more that two days. 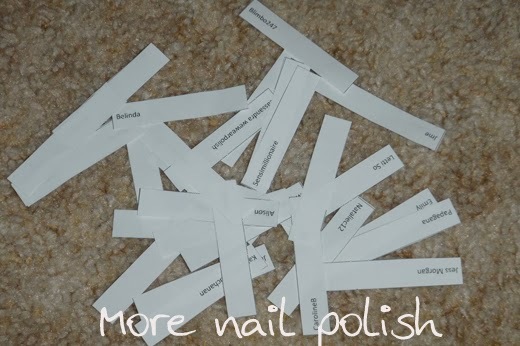 I don't know if it's the oils in her nails or what, but every brand of polish just flakes and chips off. 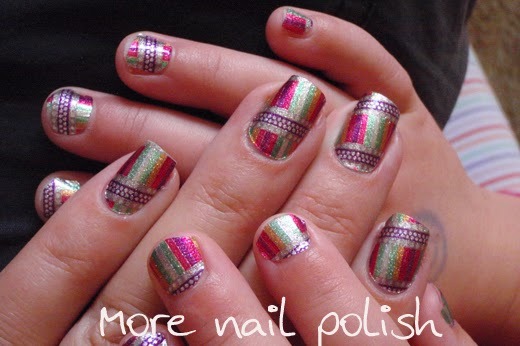 I had the brilliant idea of using the back half of the design from my nails on her nails. There was plenty of excess that I would have just thrown away otherwise. I have to say that nail stickers/appliques are just perfect for childrens nails because there is no drying time. Once they are on, they are perfect. Our nails were such a cute match and she was very proud of her sparkly and patterned nails. I had very high hopes that these nails would last a lot longer on her than regular nail polish. On day two they still looked as perfect as they were when I applied them. Sadly, whilst I was at work on day three, I returned home to discover that she had picked at her nails and removed all but one nail!! Doh! I will definitely buy some more appliques to suit her, but I'm going to wait until she is a bit older so she wont pick them off. 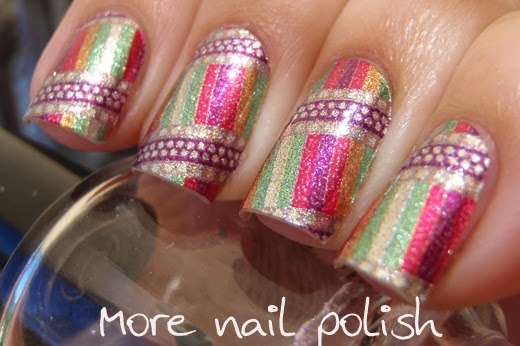 Finally, I'm excited to announce the winner of a set of Incoco Nail Appliques of their choice. I printed out each entrants name on a piece of paper, folded them up, and did a lucky draw for the winner. 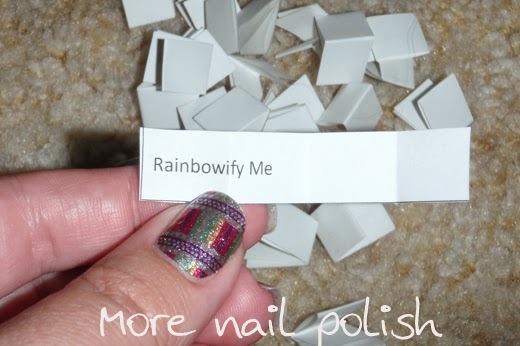 I'm so excited for my winner "Rainbowify Me". I have no doubt that she will see this post and know she is the winner, because she is absolutely be my #1 blog commenter of all time. I'm really excited that she won! Please send me an email and I'll give you the details of how to claim your prize. Also, a big reminder that my Guess that Gold 1000th post giveaway closes at midnight tomorrow. Tiny little fingers - So cute! 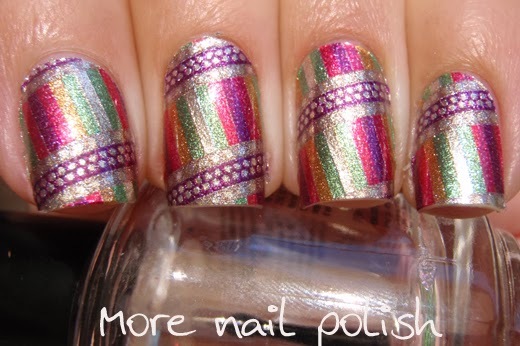 I love your matching manis :-) Congratulations to Rainbowify Me! 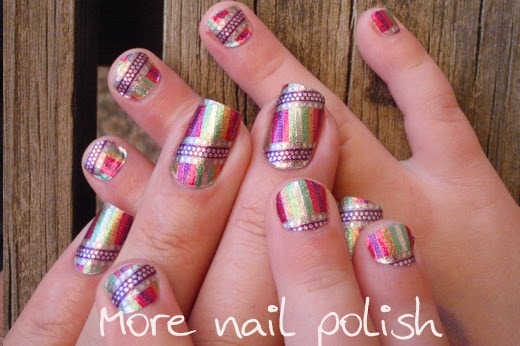 Super cute Mother and Daughter manis and Congratulations to Rainbowify as well.